What is the dark web? Jump to media player The BBC's Chris Foxx explains what it is and what it is used for. What is phishing? Jump to media player Chris Foxx explains how a cyber-attack known as phishing works, and how you can protect yourself. What is the internet of things? Jump to media player Jane Wakefield explains what the so-called internet of things is all about. What is a DDoS attack? Jump to media player A distributed denial of service (or DDoS) attack is an attempt to take a website offline by overwhelming it with internet traffic. A virtual private network (or VPN) is a secure connection between your device and another computer over the internet. VPN services are useful for securely accessing your work computer systems while you are away from the office. But they are also commonly used to circumvent government censorship, or location blocking on movie streaming websites. 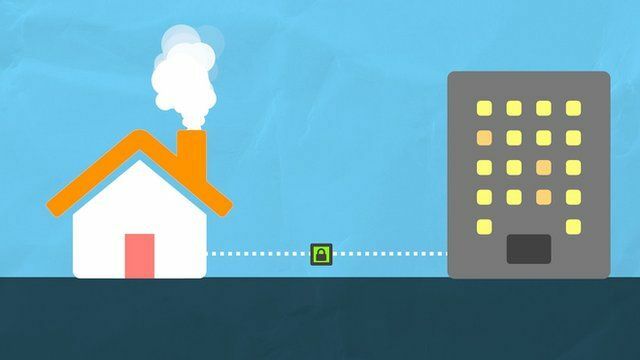 BBC Technology reporter Chris Foxx explains what some people use a VPN service for. Go to next video: What is the dark web?